The Asrár-i Khudí was first published at Lahore in 1915. I read it soon afterwards and thought so highly of it that I wrote to Iqbal, whom I had the pleasure of meeting at Cambridge some fifteen years ago, asking leave to prepare an English translation. My proposal was cordially accepted, but in the meantime I found other work to do, which caused the translation to be laid aside until last year. Before submitting it to the reader, a few remarks are necessary concerning the poem and its author. Iqbal is an Indian Moslem. During his stay in the West he studied modern philosophy, in which subject he holds degrees from the Universities of Cambridge and Munich. His dissertation on the development of metaphysics in Persia—an illuminating sketch—appeared as a book in 1908. Since then he has developed a philosophy of his own, on which I am able to give some extremely interesting notes communicated by himself. Of this, however, the Asrár-i Khudí gives no systematic account, though it puts his ideas in a popular and attractive form. While the Hindu philosophers, in explaining the doctrine of the unity of being, addressed themselves to the head, Iqbal, like the Persian poets who teach the same doctrine, takes a more dangerous course and aims at the heart. He is no mean poet, and his verse can rouse or persuade even if his logic fail to convince. 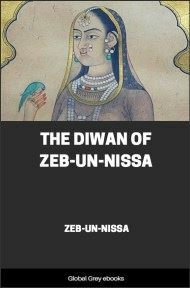 His message is not for the Mohammedans of India alone, but for Moslems everywhere: accordingly he writes in Persian instead of Hindustani—a happy choice, for amongst educated Moslems there are many familiar with Persian literature, while the Persian language is singularly well adapted to express philosophical ideas in a style at once elevated and charming. And become known as the champion of a new spirit." Let us begin at the end. What is the far-off goal on which his eyes are fixed? The answer to that question will discover his true character, and we shall be less likely to stumble on the way if we see whither we are going. 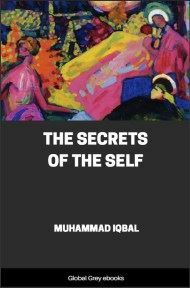 Iqbal has drunk deep of European literature, his philosophy owes much to Nietzsche and Bergson, and his poetry often reminds us of Shelley; yet he thinks and feels as a Moslem, and just for this reason his influence may be great. He is a religious enthusiast, inspired by the vision of a New Mecca, a world-wide, theocratic, Utopian state in which all Moslems, no longer divided by the barriers of race and country, shall be one. He will have nothing to do with nationalism and imperialism. These, he says, "rob us of Paradise": they make us strangers to each other, destroy feelings of brotherhood, and sow the bitter seed of war. He dreams of a world ruled by religion, not by politics, and condemns Machiavelli, that "worshipper of false gods," who has blinded so many. It must be observed that when he speaks of religion he always means Islam. Non-Moslems are simply unbelievers, and (in theory, at any rate) the Jihád is justifiable, provided that it is waged "for God's sake alone." A free and independent Moslem fraternity, having the Ka‘ba as its centre and knit together by love of Allah and devotion to the Prophet—such is Iqbal's ideal. In the Asrár-i Khudí and the Rumúz-i Békhudí he preaches it with a burning sincerity which we cannot but admire, and at the same time points out how it may be attained. The former poem deals with the life of the individual Moslem, the latter with the life of the Islamic community. The cry "Back to the Koran! Back to Mohammed!" has been heard before, and the responses have hitherto been somewhat discouraging. But on this occasion it is allied with the revolutionary force of Western philosophy, which Iqbal hopes and believes will vitalise the movement and ensure its triumph. He sees that Hindu intellectualism and Islamic pantheism have destroyed the capacity for action, based on scientific observation and interpretation of phenomena, which distinguishes the Western peoples "and especially the English." Now, this capacity depends ultimately on the conviction that khudí (selfhood, individuality, personality) is real and is not merely an illusion of the mind. Iqbal, therefore, throws himself with all his might against idealistic philosophers and pseudo-mystical poets, the authors, in his opinion, of the decay prevailing in Islam, and argues that only by self-affirmation, self-expression, and self-development can the Moslems once more become strong and free. 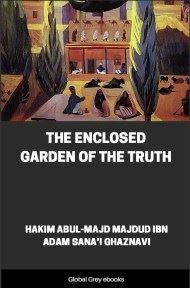 He appeals from the alluring raptures of Hafiz to the moral fervour of Jalálu’ddín Rúmí, from an Islam sunk in Platonic contemplation to the fresh and vigorous monotheism which inspired Mohammed and brought Islam into existence. Here, perhaps, I should guard against a possible misunderstanding. Iqbal's philosophy is religious, but he does not treat philosophy as the handmaid of religion. 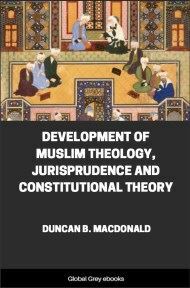 Holding that the full development of the individual presupposes a society, he finds the ideal society in what he considers to be the Prophet's conception of Islam. Every Moslem, in striving to make himself a more perfect individual, is helping to establish the Islamic kingdom of God upon earth. The Asrár-i Khudí is composed in the metre and modelled on the style of the famous Masnaví. In the prologue Iqbal relates how Jalálu’ddín Rúmí, who is to him almost what Virgil was to Dante, appeared in a vision and bade him arise and sing. 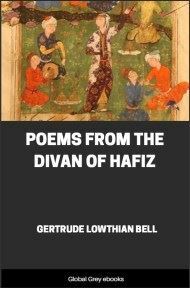 Much as he dislikes the type of Sufism exhibited by Hafiz, he pays homage to the pure and profound genius of Jalálu’ddín, though he rejects the doctrine of self-abandonment taught by the great Persian mystic and does not accompany him in his pantheistic flights.